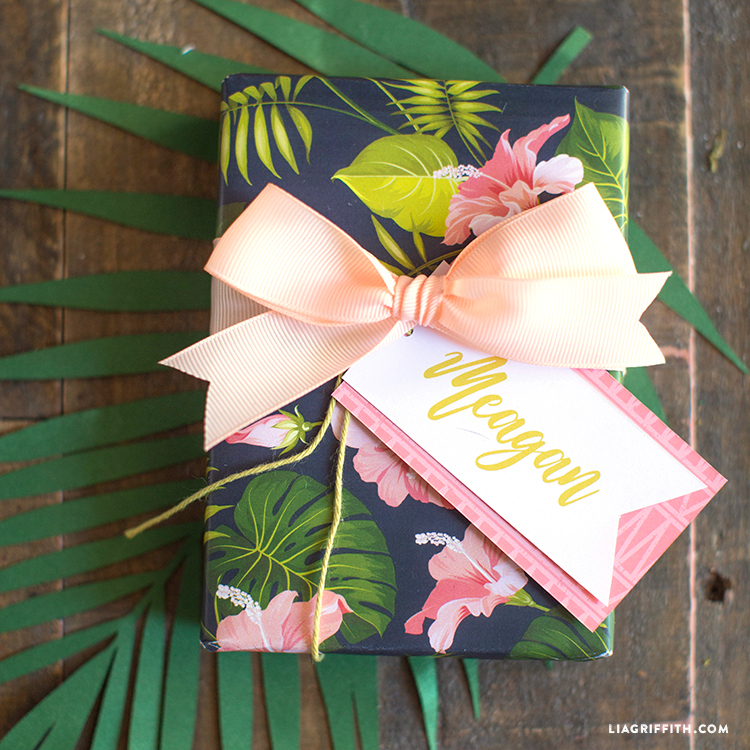 Customize This Tropical Gift Tag Template for All Your Summer Parties! 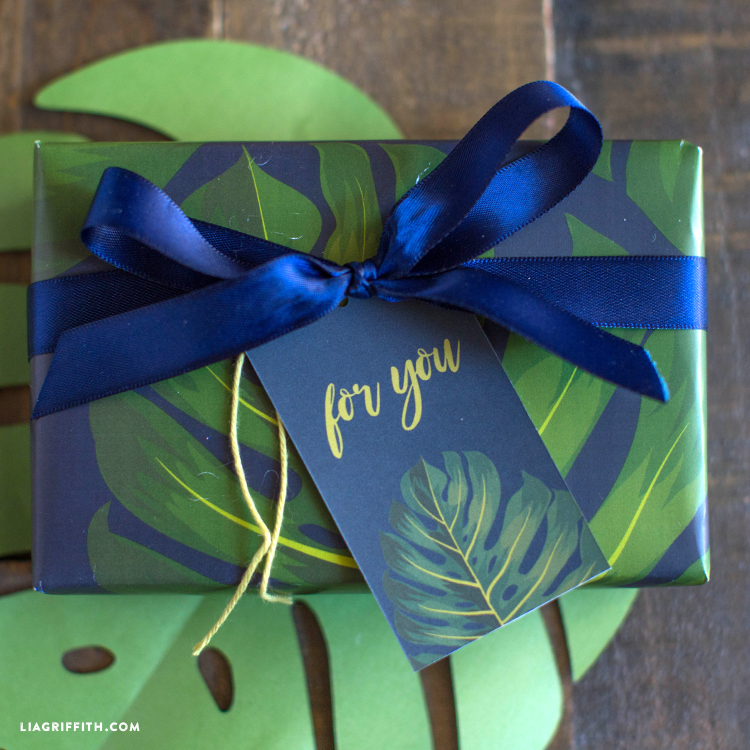 Put the finishing tiki touches on your tropical gift with these awesome gift tag templates. From floral prints to island-inspired patterns, you can make any summer special. Plus, you can customize the tags so that it says the lucky recipient’s name. 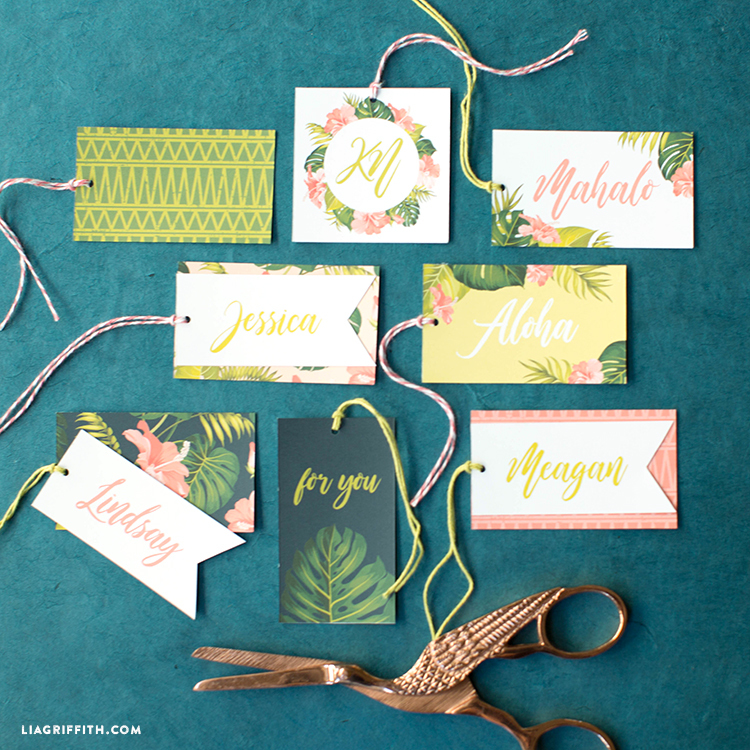 Great for bridal party gifts, party favors, and birthday presents, you can use this tropical gift tag template all summer long! 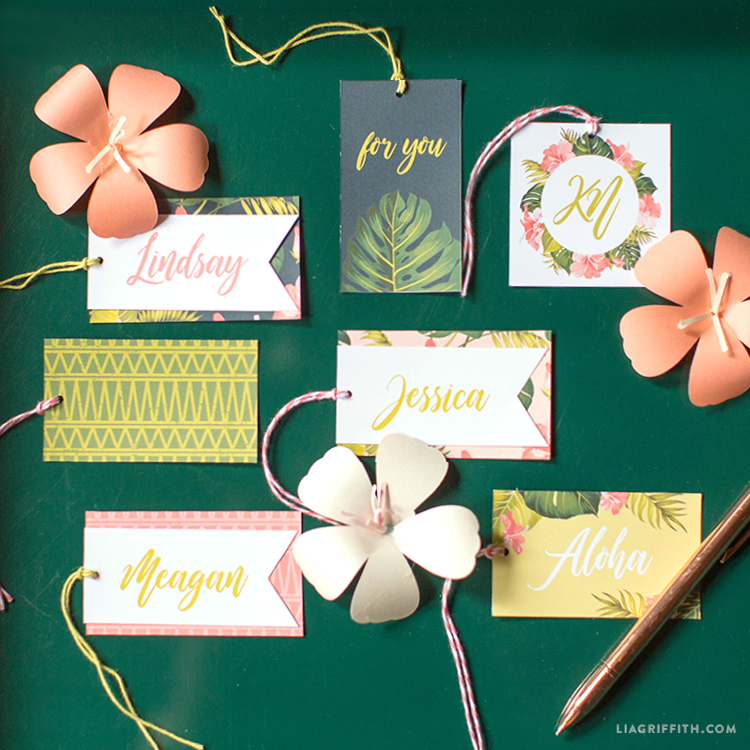 Simply gather the tools and materials, then download your editable PDF tags. Follow the steps below to finish this project. Happy crafting! 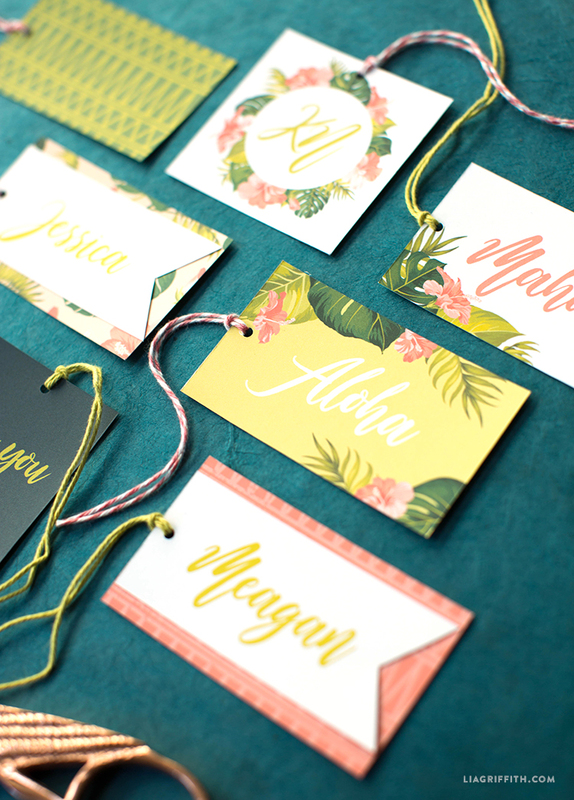 Tags are fully editable; we used the free Wild Ones font, which works incredibly well with the template. With this download, there are multiple combinations you can create. Get creative with which ones you pair or go simple and choose one or two. Then, download the PDF below and print your tags out on white cardstock. 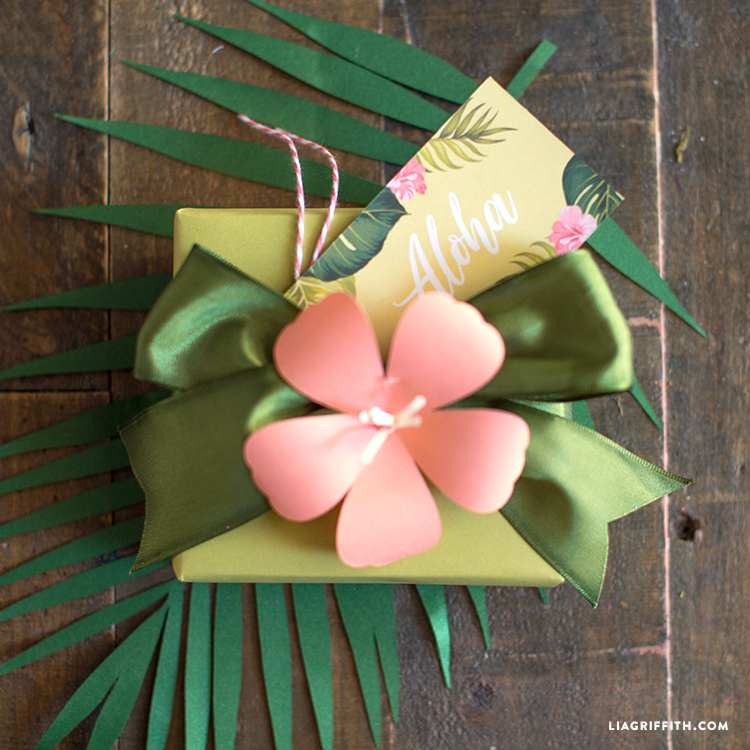 Punch out holes at the edges of your gift tags and attach with fun ribbon or colorful bakers twine to add a sense of tropical flair! Thank you for this file! I was finally able to personalize the tags after I added Adobe Acrobat to my computer. Duh! Reading the directions really helped! Love it!